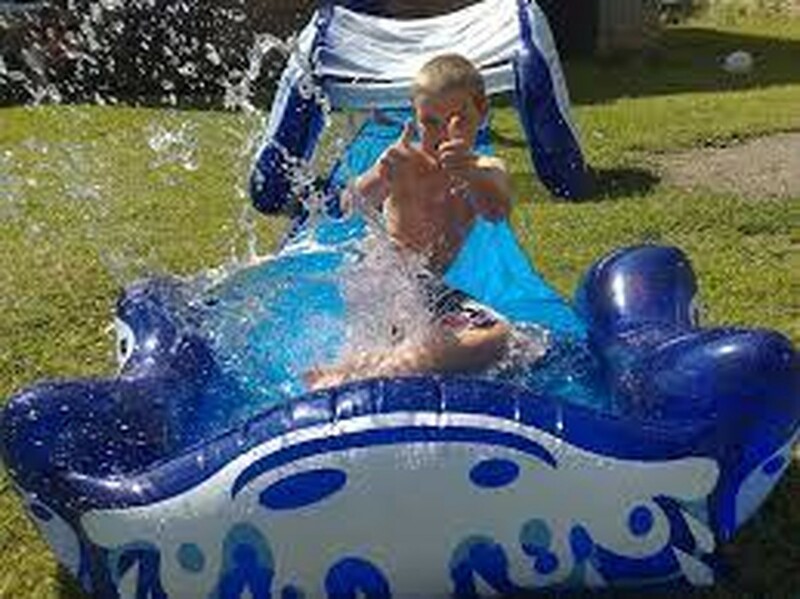 Waterslides are the ultimate toy for fun! They are perfect for children’s parties and even just to get through a warm day. The best thing is that they can be set in the backyard and almost anywhere. Since there are different styles, models and brands, if you are in possession of one or planning to, Miami party rental recommends you to follow all specific manufacture’s recommendations to take care of this precious jewel. Water inflatable require a lot of maintenance and proper care to avoid having issues down the road and even increase their durability. 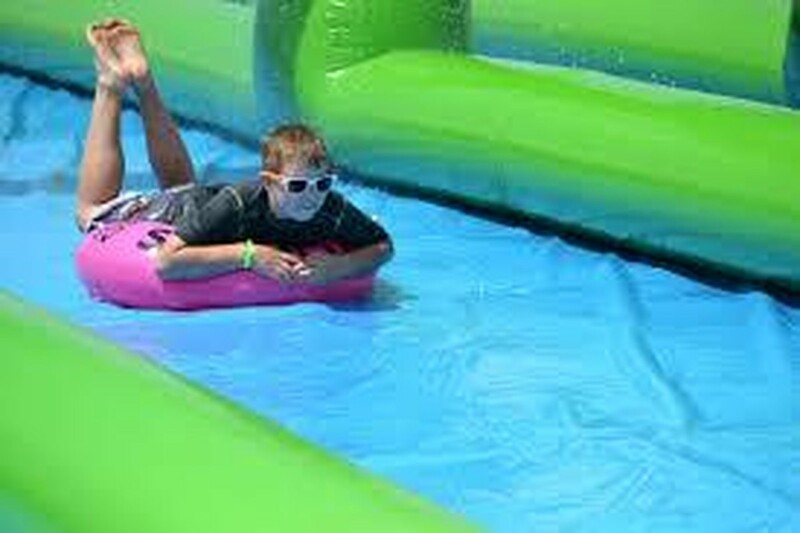 As these slides are very delicate products, you can always rent your favorite water inflatable at your favorite water slide rental Miami. If you already own one, today we will provide you with some tips to take care of it! It is imperative that you make sure your water inflatable is dry when you are going to room it. Otherwise, it may get mold and even get holes in the future! The best way drain your water slide is to step on the splash wall at the lowest point with your foot that should drain most of the water out. Another idea is to lean the slide whole still inflated, that way all the water will run out. You can also turn off the blower and leave the unit to deflate and drain; then you can dry with a towel just to make sure there isn’t any remaining water. Once the unit is all dry, you can re-inflate and tie off any air outlets, once inflated you can also make sure there are no water spots on it. All inflatables require some maintenance, like cleaning. You can use mild cleaning products, as they won't damage the surface of your slide. But we can also recommend a DIY cleaning product that combines even dosage of soap and water. It is essential that you inspect your water slide before and after you use it. Look for damage areas like holes. If you run into any failure, is an excellent idea that you look for the manual and repair kit to get the unit fixed, just remember to follow directions. Also, check that everything is working correctly, you can do this by checking that there are no bubbling or ballooning on the surface and the material of the unit. When you decide to use the inflatable, make sure you don’t overinflate it, that may cause the slide to puncture, get torn, or it may even exploit so is vital that you know when to stop. The best indicator that the unit is overinflated is when it feels hard as a rock if you encounter that situation you will need to reduce the air flow a little. 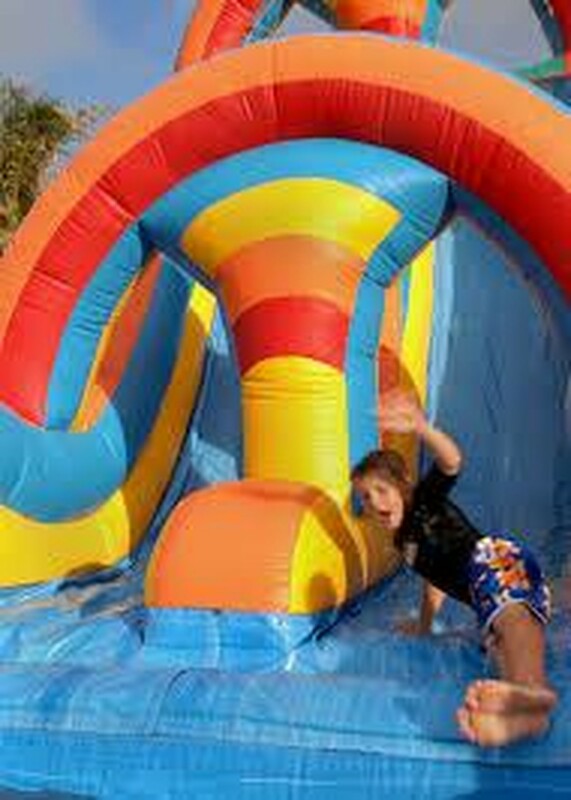 But don’t worry, if you are new to water slides, you will get the hang of it in time. 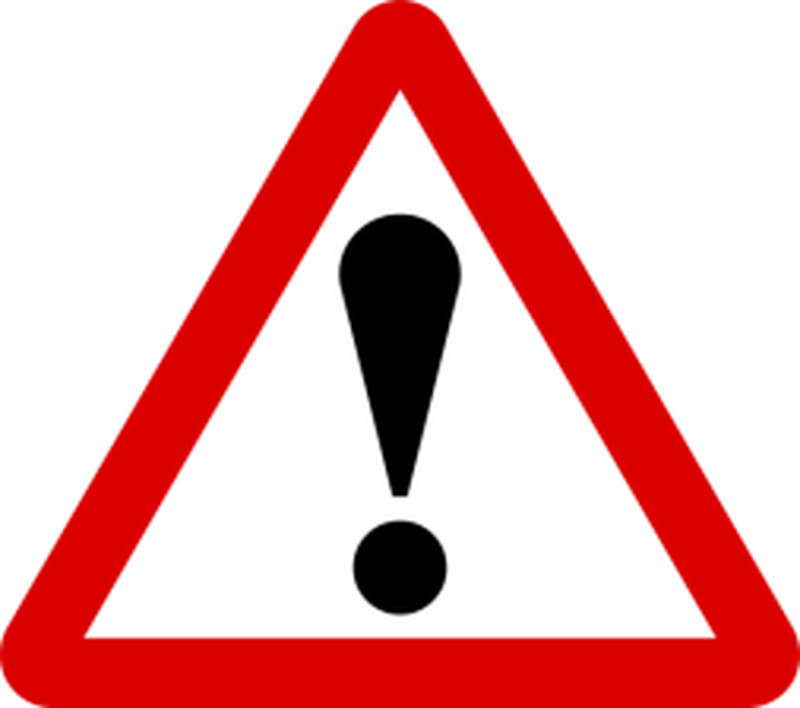 If you see that bubbles are coming out of the unit, don’t panic this is entirely normal. 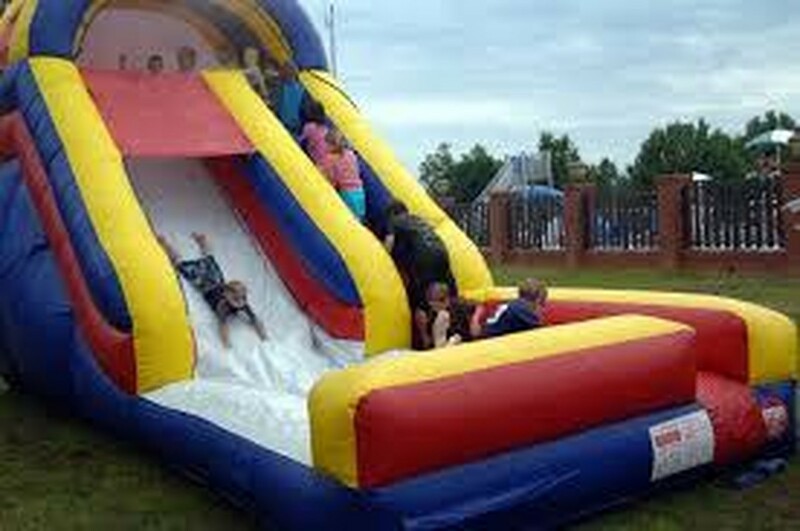 Also, if you hear a whistle sound while inflating the slide, that is okay too, this means that the blower is working correctly. Not getting enough water from sprayers? If the sprayers are not releasing the water properly, this may mean that there is some dirt clogging the sprayer system, so it is time to do some cleaning. We recommend you to detach the sprayer from the hose and blow into the sprayer to remove the dirt, and once it is ready, reassemble to the end of the hose. The air temperature changes the internal air chambers. For example, if you fill the inflatable in the morning the air will be cooler than it was in the afternoon, since the heat will change its temperature. If the inflatable is used all day, this change in temperature will make the air to expand and increase the internal pressure, which may cause an explosion. We strongly suggest you let some air out in the afternoon to reduce the risk of an explosion.